Whether you choose Safelite to travel to you for your mobile auto glass needs, or you’d rather come to one of our shops, the choice is yours. Our auto glass services reach 97 percent of U.S. drivers in all 50 states. Below, you’ll find everything you need to know about the differences between our mobile auto glass repair and in-shop services. We have more than 720 shop locations ready to help you with your auto glass damage. Scheduling an appointment is easy. You can schedule online or by calling 877-664-8931. We have more than 6,000 MobileGlassShops across the country, ready to travel to you. Save valuable time by having us come to your work, home or other location. Wherever you need us, we’ll be there. 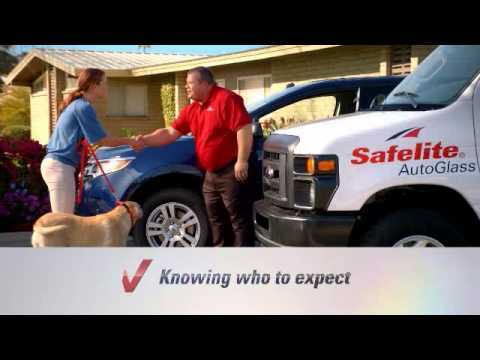 Safelite technicians use special technology for mobile auto glass service that makes the process smooth for our customers. The software is linked to the technicians' mobile applications that manage job statuses and can take care of paperwork wirelessly at your home.